Dr. Lagkas is a Full-Time Lecturer at the International Faculty of the University of Sheffield, CITY College, since 2012. He has been an Adjunct Lecturer at the Department of Informatics and Telecommunications Engineering, University of Western Macedonia, Greece, from 2007 to 2013. 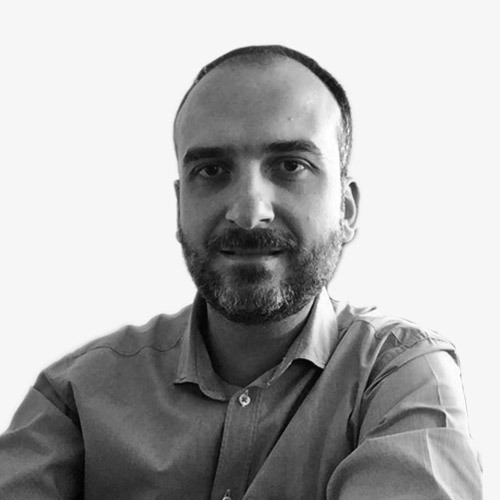 He has also served as Laboratory Associate and Scientific Associate at the Technological Educational Institute of Thessaloniki from 2004 to 2012. His research and teaching mainly focus on the Computer Networks scientific field. He has worked as a freelancer computer programmer and he is an IEEE and ACM Member. Dr. Lagkas’ research interests are in the areas of wireless communication networks, QoS in medium access control, mobile multimedia communications, power saving / fairness ensure for resource allocation in wireless sensor networks, IoT distributed architectures, e-health data monitoring, bandwidth distribution in cooperative wireless networks, scheduling in wireless broadband networks, and computer-based educational technologies with relevant publications at a number of widely recognized international scientific journals and conferences. He has edited two books titled “Wireless Network Traffic and Quality of Service Support: Trends and Standards” and “Evolution of Cognitive Networks and Self-Adaptive Communication Systems”. Eleftherakis, D. Pappas, T. Lagkas, K. Rousis, and O. Paunovski. International Journal of Distributed Sensor Networks, SAGE, Volume 2015, 17 pages, December 2015. D. Lagkas and D. Papadopoulos. International Journal of Decision Sciences, Risk and Management, Inderscience, Volume 5, Number 4, pp. 376-397, January 2014. D. Lagkas, P. Sarigiannidis, M. Louta. Computer Networks, Elsevier, Volume 57, Issue 7, pp. 1656-1673, May 2013. Louta, K. Mpanti, G. Karetsos, and T. Lagkas. Proceedings of SOAComm: 1st International Workshop on Self Organized Adaptive Communications, Workshop of the 7th International Conference of Information, Intelligence, Systems and Applications (IISA 2016), Chalkidiki, Greece, July 2016. D. Lagkas, A. Lamproudi, and P. Sarigiannidis. Proceedings of the 23rd IEEE International Conference on Telecommunications, pp. 1-5, Thessaloniki, Greece, May 2016. Basholli, T. Lagkas, P. A. Bath, and G. Eleftherakis. Proceedings of the 17th International Symposium on Health Information Management Research – ISHIMR 2015, York, UK, June 2015. D. Lagkas, A. Imeri, and G. Eleftherakis. Proceedings of the 7th EAI International Conference on Wireless and Satellite Systems (WiSATS 2015), Bradford, UK, July 2015 (Published as Chapter in “Wireless and Satellite Systems,” Lecture Notes of the Institute for Computer Sciences, Social Informatics and Telecommunications Engineering, Springer, Volume 154, pp 345-358). Pantelis M. Papadopoulos, Thomas Lagkas, and Stavros N. Demetriadis. Resource Management in Mobile Computing Environments, Edited by C. Mavromoustakis, E. Pallis, and G. Mastorakis, Springer-Verlag., pp. 145-163, 2014. Wireless Communications and Networking: Theory and Practice, Edited by M. Matin, Published by IGI Global Inc., 2014. Wireless Network Traffic and Quality of Service Support: Trends and Standards, Edited by T. D. Lagkas, P. Angelidis, and L. Georgiadis, Published by IGI Global Inc., pp. 1-30, April 2010.